Deluxe Packages: Equivalent 2* Hotel with all Modern Amenities. Meal Plan CP (Bed, Breakfast only) or MAP (Bed, Breakfast and Dinner only) or AP (Bed, Breakfast, Lunch, Snacks and Dinner Only) as described at the costing. Vehicles are not to be at disposal and are available as per itinerary only (point to point basis). These rates have TAC and are made for B2B for wholesale.Air fare / train fare. 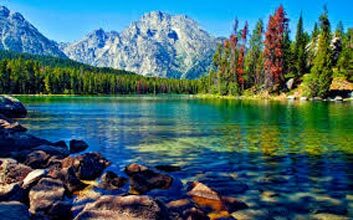 Expenses of personal nature such as tips & gratuity, mineral water, telephone calls, laundry, soft & hard drink, Insurance etc. 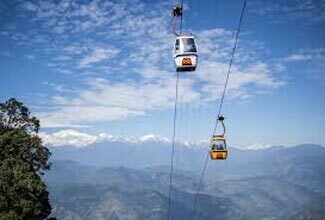 Additional adventurous activities like Rafting, Rock Climbing, Paragliding, Cable car, Yak ride, Toy Train Ride, Helicopter ride etc. Entrance Fees & Camera charges, Guide charges. Any cost arising due to natural calamities like, landslides, road blockage, political disturbances (strikes), etc (to be borne by the client and is directly payable on the spot). Room Heater Charges. Anything not specified in the inclusion. Nathula pass permit costs of Rs. 3000 -5000 each vehicle is extra subject to availability of Government passes. Government will club vehicles for 5 kms and we have no roles to play on it. Zero point and Gurudongmar Lake at North Sikkim are done with extra cost which is directly payable on the spot. 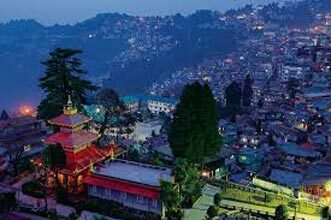 Normal Vehicle at Gangtok are not authorised to enter city areas so will pick up and drop at the taxi stand so client will have to hire local taxis to and fro from the hotel and to be borne by the client and is directly payable on the spot. Upon arrival, meet our representative and drive to Gangtok. Arrival at Gangtok, check into the Hotel. Evening free to walk around the town. Overnight stay at Hotel / Homestay. Breakfast at Hotel. Drive to Banjhakri eco-park (30 minutes from town) Visit Namgyal Institute of Tibetology (museum with collections or antique and rare Buddhism related items) Do Drul Chorten. Ropeway at Hur-huray dara. Back to Hotel for Lunch. After Lunch, visit Flower Show/ Enchey Monastery / Hanuman Tok/Ganesh tok/Tashi View Point (to see Mt.Khangchendzonga and other peaks)/Bakthang waterfalls. Vehicle will drop you at the Market / Hotel. Free & Leisure time to stroll in the market. Breakfast at Hotel. 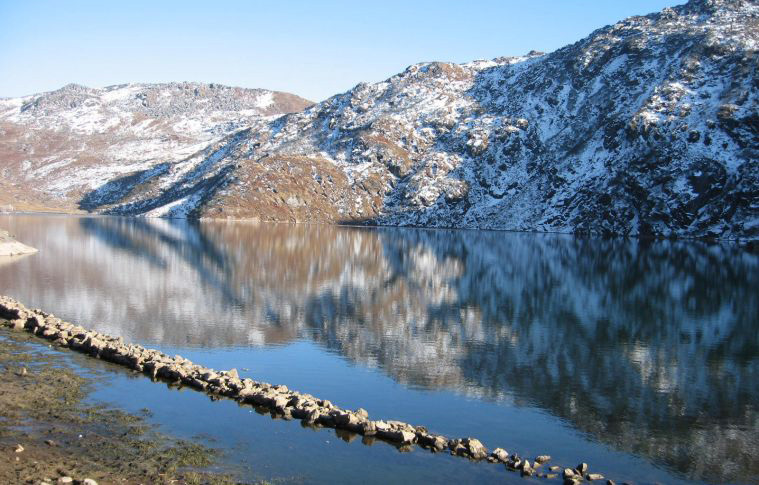 Drive to Tshangu Lake (40 kms)- Oval shaped Sacred Lake enroute Nathula Pass (Indo - Chinese Bordor). Drive to Nathula Pass (15 kms further) enroute visit Baba Harbhajan Singh Mandir. Explore Around the pass. Drive back to Gangtok via same route(55 kms) Free & Leisure time to stroll in the market area. Overnight stay at the Hotel / Homestay. Breakfast at the Hotel. Drive to Temi tea garden (organic tea garden in Sikkim) Drive to Namchi visit Chardham (Solophok) and Samdruptse. Lunch at Namchi. After this visit drive back to Gangtok. Overnight stay at the Hotel/Homestay. Breakfast at the Hotel and Checkout. Drive to NJP/Bagdogra Via Rangpo Teesta. Please carry original ID proof (Voter ID card / Pass-port / Driving License etc) for security purpose, issue of permits & hotel policy and pp size photographs. The mentioned hotels will be confirmed as per room availability. Otherwise we will confirm similar category hotel. 1. Check-in & Check-out time 12:00 hrs. 2. If arrival of guest is by train at Railway Station, please be informed that our executive will be there to receive the guest at the exit gate (near enquiry counter) If you arrive at Airport our executive will be there at Exit Gate of the Airport. 3. On arrival of guests, we will provide them local contact number of our executive, who will handle the entire operation. 4. Do not leave your belongings in the vehicle unattended. We will not be responsible for losses occurring in such cases. 5. Some of the tourist spots might be closed due to different circumstances and in this case we will try to divert you to another tourist destinations. 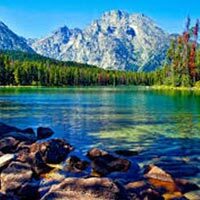 If your visit coincides with such holiday and you miss sightseeing and you want to undertake the same sightseeing on another day, there will be extra charges payable for the same. 6. Please maintain timing for sightseeing / transfers which will advisable by our executive. Due to the wide range of temperature and climatic conditions it is advisable to dress in layers. For protection against cold, layered clothing is better than one or two thick garments. Clothing should preferably be made from natural materials, which allow the body to breathe. Bring comfortable sport shoes for light hikes & sightseeing; hiking boots for treks; semi formal shoes for dinners/appointments/functions. We should bear in mind that the higher the altitude, the cooler the weather, and that with a brisk wind blowing down off the mountains, even a low-lying valley can become quite chilly. 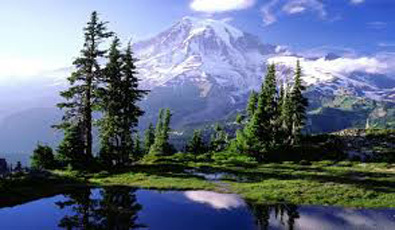 The Northern and the Western part have a much harsher climate, with summer monsoon rains and winter snowfalls which may block passes leading into tourist spots. Winter in Sikkim and Darjeeling is from mid-November till March, and at this time of the year the climate is dry and sunny for the most part, temperatures peaking at around 15c. in the daytime and falling below zero at night. The monsoon usually arrives in mid-June, with light rain falling mainly in the afternoons and evenings. At the end of September, after the last of the big rains, autumn suddenly arrives, and is a magnificent season for trekking until November. Nepali, Hindi and English are commonly spoken in the main towns and are the principal medium of instruction in schools throughout the state. Sikkim and Darjeeling are one of the safest destinations in the world however you should still exercise caution when visiting. Avoid drinking tap water which has not been boiled at all times as most water sources in Sikkim and Darjeeling are untreated. One can easily acquire affordable treated and bottled water. People prone to car sickness should bring appropriate medicine as the winding roads on the mountains have plenty of curves and turns. Bring any medication you take regularly, or might need to take for a periodically recurring condition, such as asthma. Heart Melting Sikkim With North Sikkim Tou..
Beauty Of Darjeeling & Gangtok Tour Cyclin.. Mind Blowing Scenery Of Darjeeling & Sikki..